North Florida Land Trust is moving its offices into the historic Brewster Hospital in LaVilla. 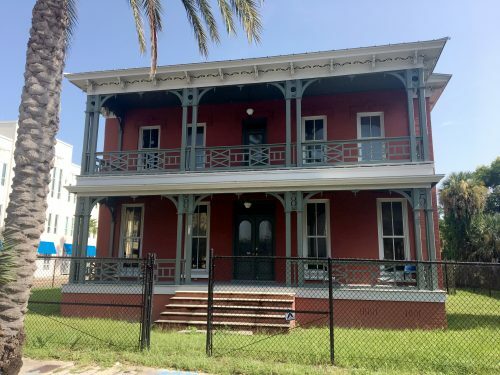 The nonprofit land conservation organization will lease the approximately 5,700-square-foot building from the City of Jacksonville. Danis Construction made significant improvements to the historic building to create the office space and to bring it into compliance with the American with Disabilities Act. Brewster Hospital was built in 1885 and was Jacksonville’s first hospital for African Americans and a training school for nurses. It was moved to its current location at the corner of Monroe and Davis Streets in 2005. Renovations were made to the building in 2007. NFLT will occupy a portion of the building and will designate a room on the first floor that will serve as a memorial to the history of Brewster Hospital. NFLT will be holding an open house on April 4, from noon to 4 p.m. The public is welcome to attend. For more information, visit nflt.org.